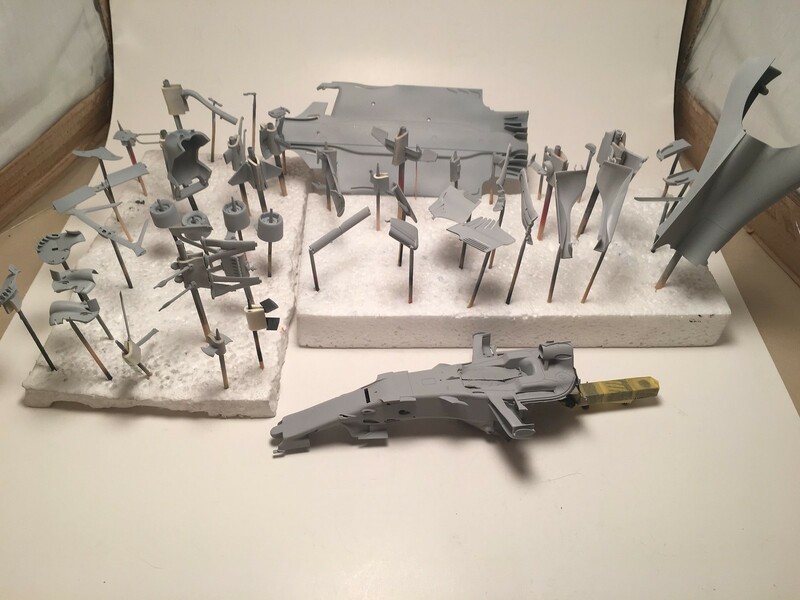 Last weekend I started to prime parts. Decided to go with light layers of grey first. Will need to smooth these coats a bit and then get white primer on the parts, which will be white and red later. 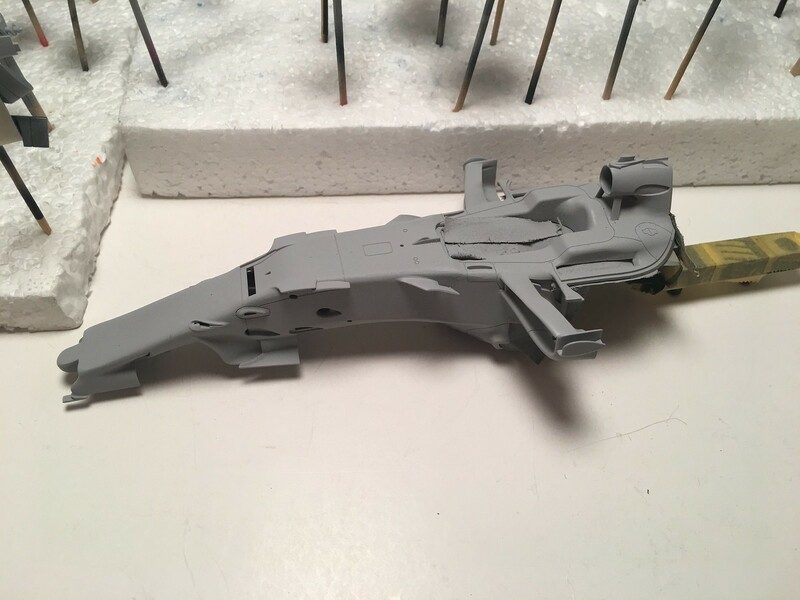 First photo shows well how much pre-assembly I've done for the main shell of my model. On second photo it is possible to make out what other pre-assemblies I've done before primer for other parts. Looks like you have every part there in primer, have you ever considered the Tamiya pink primer? I’m yet to try but I’ve heard it makes the red pop.